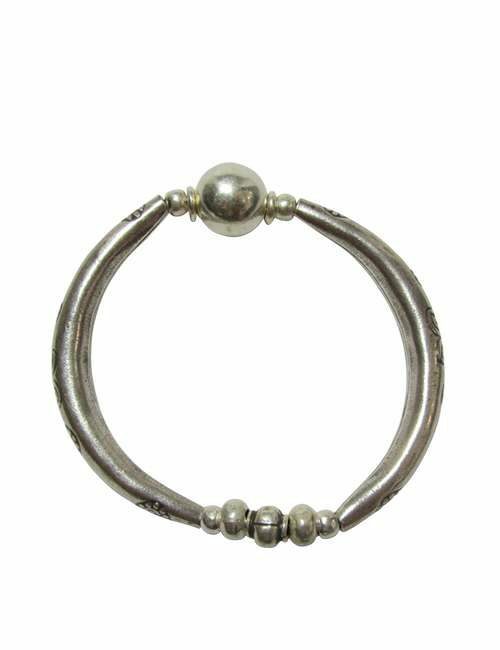 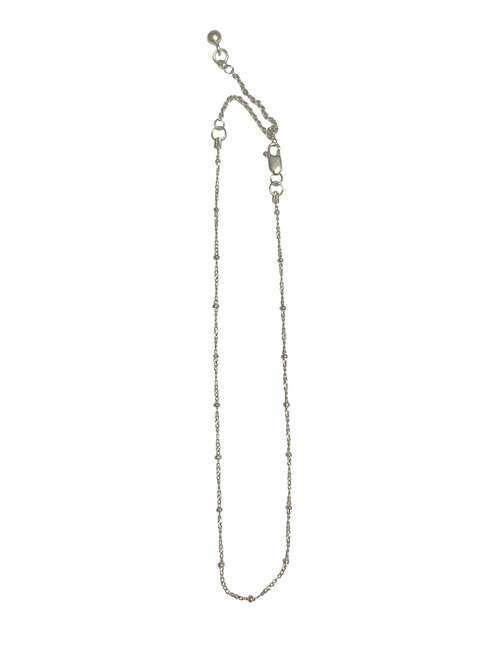 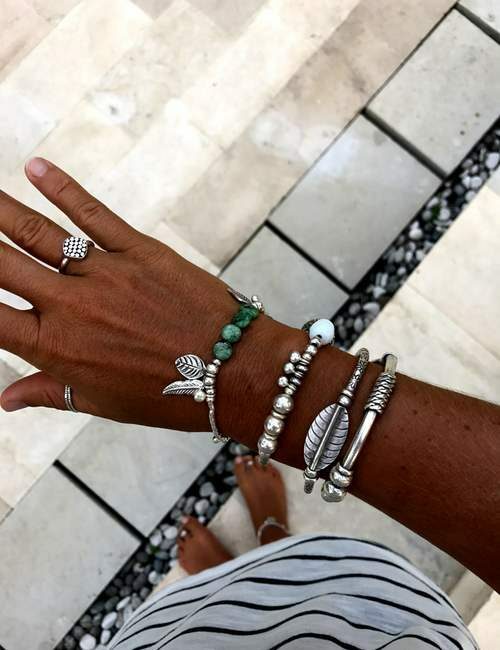 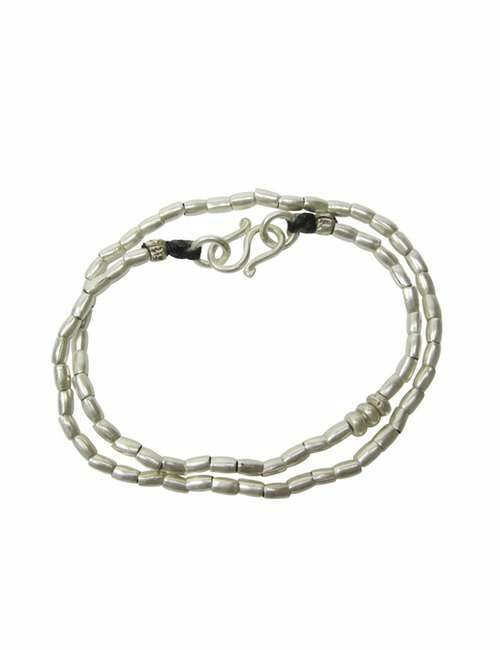 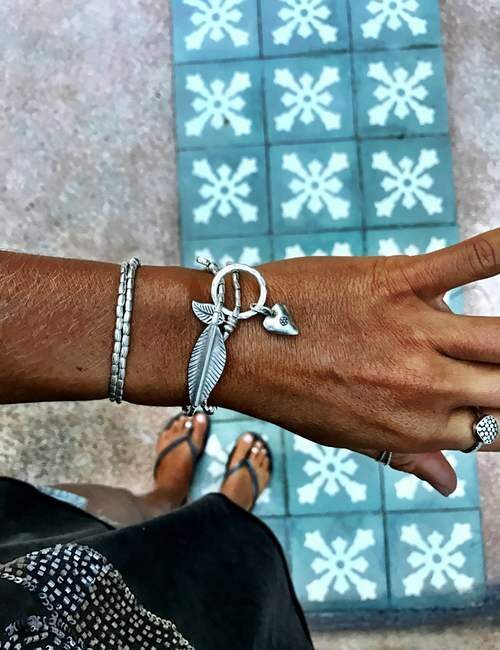 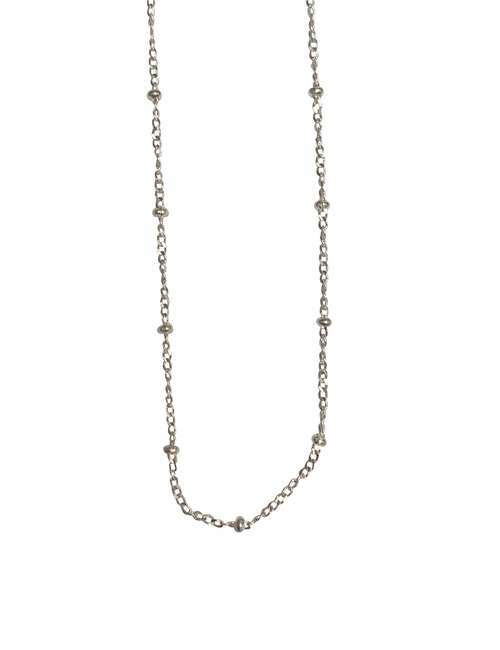 A fine sterling silver chain which can be worn as a double wrap bracelet or a single necklace. 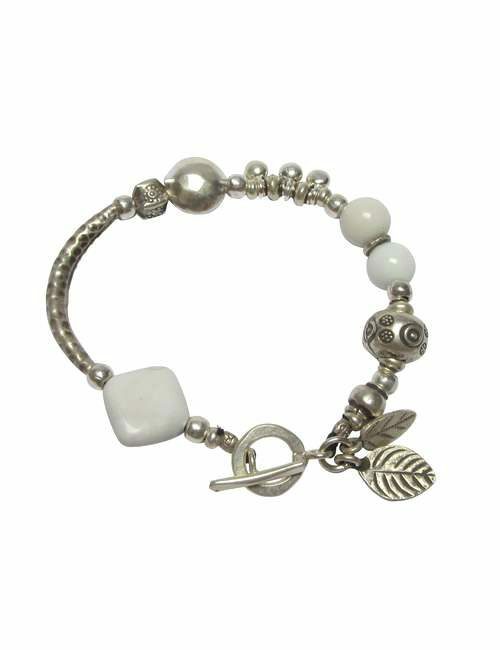 I wore this petite style ‘barely there’ bracelet on my wedding day. 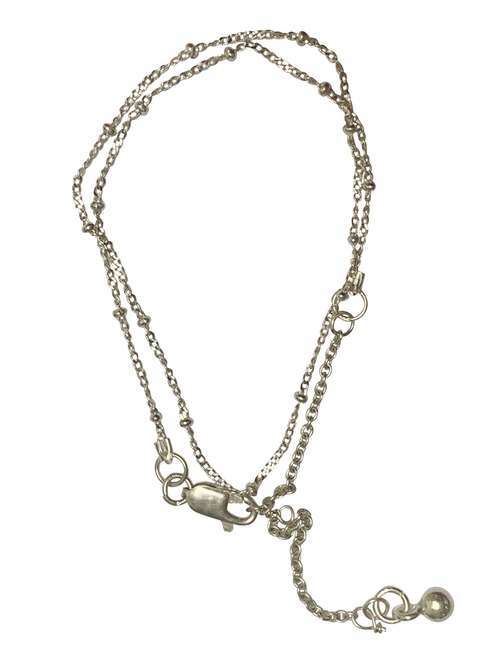 It has a small hanging chain tassel. 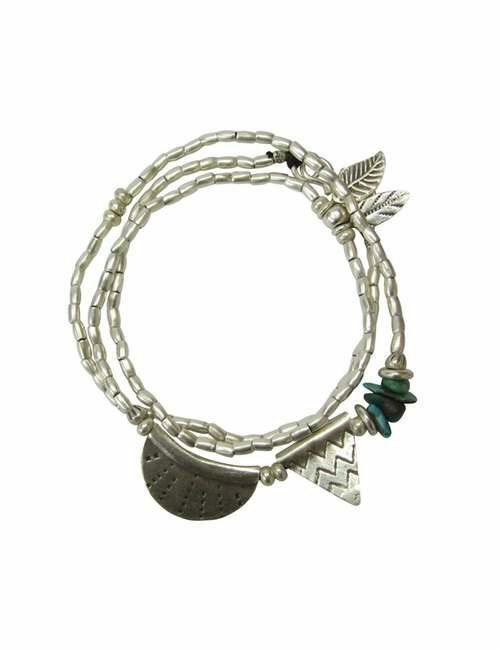 Connection is via a sterling silver parrot clasp.